BluEdge provides a comprehensive suite of Capture Management Services to our clients. Our deeply experienced Capture Management professionals understand both the “art” and “science” of a successful Capture Campaign—as demonstrated by their sustained track record of multi-million dollars wins across the competitive procurement landscape, including the State & Local, Fed-civil, and Defense and Intelligence communities and domains. Our cadre of Capture Manager’s success is due in large part to their outstanding reputations and relationships in both the Public and Private sectors, which enables them to create the compliant, innovative, and responsive approaches and competitive offers that today’s acquisitions officers and source selection committee members are seeking. Most of our Capture professionals have enjoyed successful careers at many of the large federal contracting firms and—like our other proposal professionals—have security clearances up to and including Top Secret (with additional accesses). This powerful combination of experience and credentials provides our clients with a “force multiplying effect” on your priority pursuits, along with the insights necessary for effective competitive landscape development. 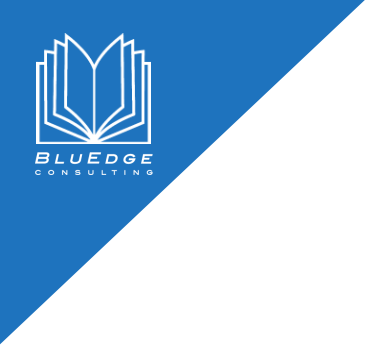 The BluEdge approach—originally developed primarily to satisfy the requirements of the small and mid-tier business communities—features a flexible framework that can be tailored to complement our client’s internal capture capabilities and align with B&P budgets. Integrating into our client’s established Capture and Proposal processes, our Capture professionals leverage their training and experience to provide the entire spectrum of Capture services beginning with identification of potential opportunities followed by an intensive review and analysis to determine the feasibility of pursuing the opportunity. We objectively examine all of the factors that influence or client’s win probability (Pwin) and provide our client’s executive leadership teams with a comprehensive assessment that enables fact-based bid/no-bid decisions. Whether your needs require a full-time dedicated Capture Manager or periodic “capture consultative support,” our goal is for our clients to be successful and our metrics reflect that goal.